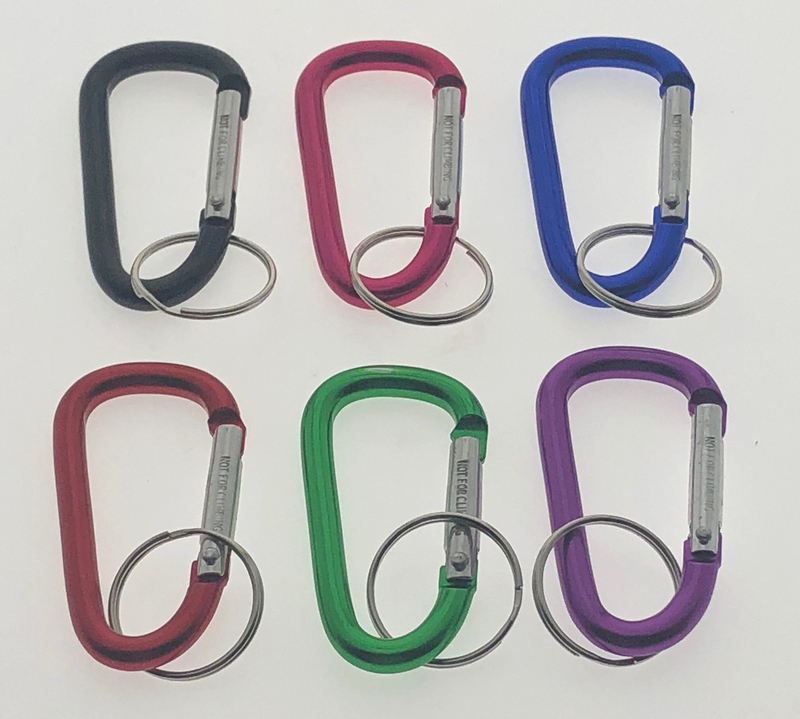 Our 6mm carabiner is made from anodized aluminum and measures approximately 2 1/4" and comes with a 1" split ring. 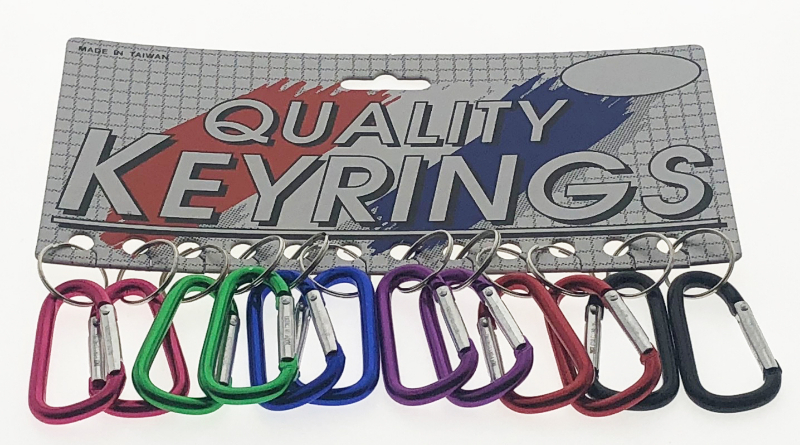 The carabiners are only available in a "D" Shape version and in assorted colors: BLACK, GREEN, BLUE, RED, PURPLE, and PINK. 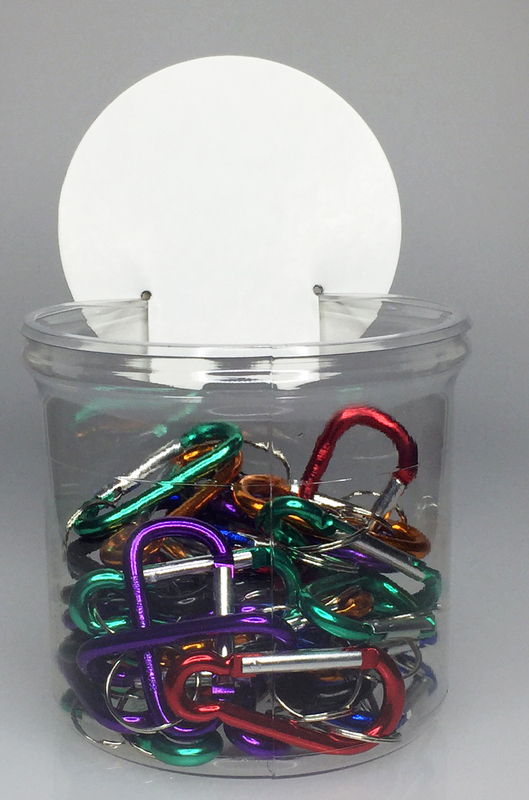 Packaging is bulk.